We write about FPSes each week in Triggernometry, a mixture of tips, e-sports, design criticism, and a celebration of virtual marksmanship. Let's examine what's happened in the Counter-Strike: Global Offensive scene during its annual off-season over the past few weeks, and what events are going to take place in the early part of 2015 as the teams return to action. Big changes took place in North America directly after the ESEA Invite Season 17 Global Finals concluded in Dallas on December 7. Cloud9 continued their disappointing streak of showings with a measly 5-6th place finish, and though iBUYPOWER played admirably given their player situation, the real surprise of the event was North American team Denial, who took down Cloud9. Shortly after the tournament finished Cloud9 expectedly made a change, though it wasn’t the one anyone expected. The team’s star Hiko departed with Denial’s AWPer ShahZaM taking his place. Losing ShahZaM effectively killed all the hype built around Denial. iBUYPOWER then recruited back their former in-game leader DaZeD, while also adding Hiko on a temporary basis. To make room for the duo, they cut ties with their newest two recruits nitr0 and desi, who joined after the team shockingly removed DaZeD and steel in the aftermath of ESWC. A few of Europe’s best teams made a change in the off-season as well, and a few of them may be yet to come. First and foremost the Danish team Dignitas, who had struggled throughout the fall after consistently making the semi-finals of every earlier tournament in 2014, decided to remove their in-game leader FeTiSh, whose leadership style and individual skills had been called into question, and recruit former mousesports player karrigan. 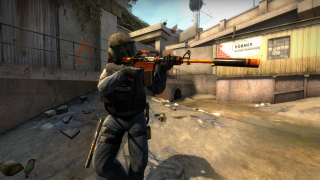 Titan, whose old member KQLY was VAC-banned before DreamHack Winter, finally settled on their fifth player after attending ESEA Finals with their coach as a temporary solution. They welcomed back RpK, former VeryGames star who quit playing CS:GO in December 2012. In hïs final event before the two year break, he topped the statistics at DreamHack Winter 2012, despite a lopsided loss to NiP in the grand final. In the lower tier teams, Copenhagen Wolves kicked their in-game leader gla1ve, whose bad behavior at the Gaming.dk Finals earned him a ban from the organizer’s future events, and filled his spot with FeTiSh, who was removed from Dignitas. PENTA, who are directly qualified for the next major, recruited nex and strux1 to replace r0bs3n and fel1x. mousesports, oddly enough, removed their star player allu, who currently ranks fourth in the world in HLTV.org’s statistical database. They also cut ties with tabseN, signed stand-in and mouz legend gob b to a full-time contract, and welcomed back Troubley, who played for the organization in 2012 when CS:GO first came out. A few notable tournaments took place in December. fnatic won $20,000 by defeating Virtus.pro in the grand final of ESEA Invite Season 17 Global Finals, with iBUYPOWER rounding up the top three. France then won ESEC Finals, a nations cup-style tournament which limited each country’s team to three players from any team, beating Sweden in the grand final. The finalists in Belgrade also featured Poland and Finland. The first MLG qualifier was won by Dignitas, sporting their new member karrigan, who led the team to three impressive best-of-three victories over Titan, Virtus.pro and LDLC. However, it’s important to note that Dignitas never stopped performing online even with FeTiSh at the helm—the team has always struggled when there is more on the line, specifically in big matches. In North America mouseSpaz shocked everyone with wins over iBUYPOWER and Torqued to claim a spot at MLG. mSpaz came practically out of nowhere and quickly won fans over with strong play as tarik lead his team to a surprise win while streaming his matches live. Virtus.pro had to miss out on MLG’s second European qualifier with Acer A-Split Invitational’s playoffs taking place simultaneously. The Poles won the tournament in Germany and $5,000, by taking down Danish unu.AiN, playing under the banner of Reason Gaming, in the grand final. PENTA finished third with nex, who wound up joining the team, as a stand-in. Second MLG qualifier was then topped by LDLC, who managed to avoid their toughest competition—fellow countrymen Titan, still playing with coach ioRek at the time—and took down Polish ESC in the grand final to clinch a spot at the event in Aspen. Across the Atlantic Ocean iBUYPOWER, once again with Hiko playing as a stand-in for the team, defeated their competition in the second MLG qualifier to avoid the embarrassment of having to miss out on the biggest CS:GO tournament on their home soil so far. 2015 will be kicked off by MLG’s inaugural CS:GO event at the X Games in Aspen, Colorado. A total of $50,000 will be given out at the event on January 23-25, where eight teams will be competing for the title. MLG invited fnatic, NiP and Cloud9 for the event early on, and since then the participant list has been filled with Dignitas and LDLC qualifying from Europe, iBUYPOWER and mouseSpaz qualifying from North America, and KaBuM topping the Brazilian qualifier. Merely a few days later will be ASUS ROG Winter, which will hand out $25,000 in prizes for the top four finishers at the tournament taking place at Assembly Winter, a large Finnish gaming event on January 30-31 in Helsinki, Finland. First three invited teams are NiP, HellRaisers and Titan. Additionally, a number of online leagues will be kicking off shortly, to ensure there will be plenty of CS:GO to watch on a weekly basis. The list of leagues expected to start in the coming weeks include ESEA Invite Season 18 and SLTV StarSeries XII, with ESL Pro Series Winter 2014-2015 already live. HLTV.org has coverage for all the tournaments mentioned above, and will be on-site at both MLG X Games in Aspen, and ASUS ROG Winter 2015 in Helsinki, Finland. You can contact @lurppis_ on Twitter.